The Nosy Faly Panther Chameleon is the most common sub species of panther chameleon partly because it has some outstanding colors and a wide range those colors as well. The blue Nosy Faly panther chameleon (Furcifer pardalis) is a sub-species of panther chameleon found in the eastern and northern parts of Madagascar in a tropical forest biome. Additionally, it has been introduced to Réunion and Mauritius. Either red with blue bar, Green with blue bar, Blue with Red Bar, even whites and yellows are seen in blue Nosy Faly Panther Chameleons. 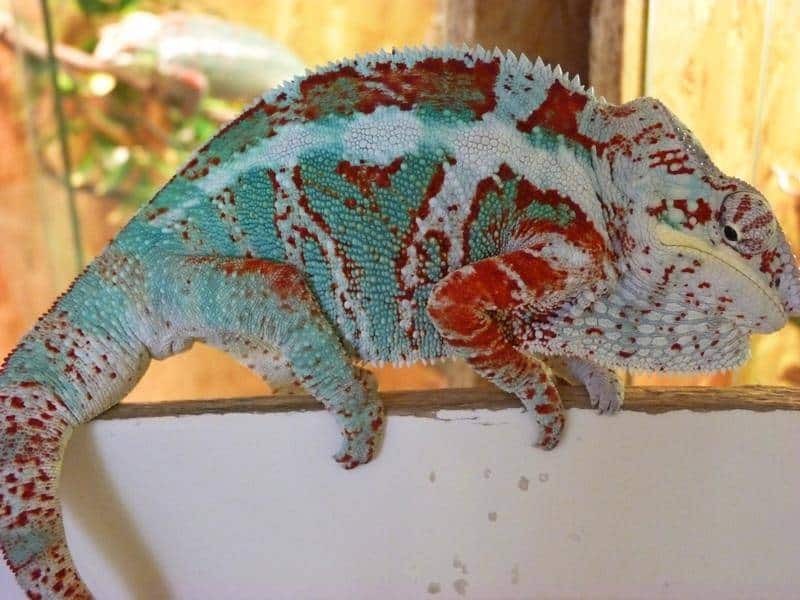 Our Nosy Faly panther chameleon lines are 100% captive bred and have a variety of KammerFlage as well as Tree Candy and Canvas Chameleon founder lineage. As with all of our reptiles for sale, all of our Nosy Faly panther chameleon for sale come with our live arrival and 7 day health guarantee. With a biologist on site, you can shop with confidence that we will be there to offer support and help you with anything you need along the way. All of our reptiles for sale ship via FedEx or UPS overnight in heated or cooled insulated shipping containers and leave our facility around 7pm the evening of shipment and arrive at your doorstep normally before 10:30 AM. If you’re wanting to buy a baby panther chameleon for sale, our sister site CBReptile.com! 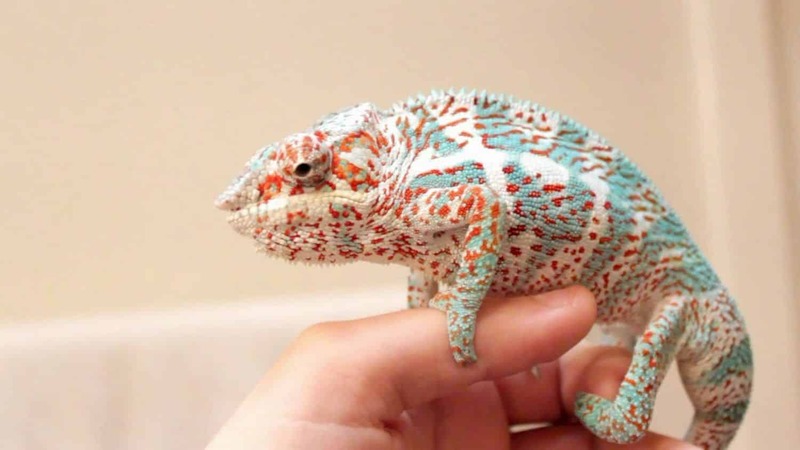 CB has an even larger selection of panther chameleons for sale, including ambilobe panther chameleon, ambanja panther chameleon, Nosy be panther chameleons, veiled chameleon for sale, baby veiled chameleons, and baby panther chameleons.